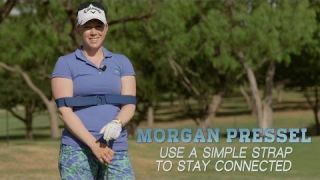 LPGA star Morgan Pressel demonstrates how to put yourself in a straightjacket to help keep your arms and body connected when you swing. Always getting caught between clubs? This Natalie Gulbis tip is so simple, you'll need to come up with a new excuse for why you missed the green. 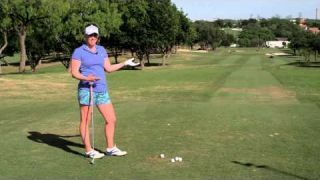 Establishing good tempo is tough for amateurs and pros alike, but LPGA star Morgan Pressel has a quick fix drill that's as easy as breathing. Try Natalie Gulbis' pause-at-the-top drill for smoother tempo and longer hits with your driver. Everything to do with golf instructions and tips.